Any concert of Andrea Bocelli is a special event. Andrea Bocelli Concert in Lajatico is a unique one. Lajaticoin Italy is a commune with the population of about three hundred people. But thanks to one of its sons, this small settlement in the heart of Tuscany has become the center of attraction for music lovers from all over the world. The Concert of Andrea Bocelli in Lajatico is organized just once a year, in the middle of summer. The concerts are held at the amphitheater “Teatro del Silenzio”, which means “The Theater of Silence”. The name is symbolical, as just once a year it receives musicians and viewers. On all other days the stage is empty. However, the theater is open for tourists. It was the maestro himself, who initiated the construction of this unusual theater. The Theater of Silence is worth hosting the most beautiful voices in the world. The location was chosen considering the natural relief of the hill, which gives a chance to admire the beautiful landscape of Lajatico and surrounding golden fields. There is an artificial lake with a sculpture in its center behind the theater. While the concert, the lake and the stage look fantastic thanks to the effects of light. The first performance at the “Theater of Silence” took place in the year of 2006. It was designed for 5 thousand of viewers. After reconstruction, the theater can seat 10 thousand of guests. It has become a tradition that other world stars take part in the concerts as well as Andrea Bocelli. If you want to visit the concert of Andrea Bocelli, you'd better take care of accommodation in Lajatico well in advance. Lajatico is located approximately 45 km from Pisa, and 95 km from Florence. There are international airports in these cities. 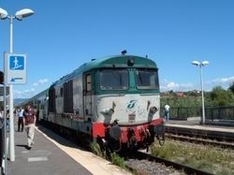 The closestrailway station is located in Pontedera, which is 25 km to the north from Lajatico. You can take a route bus or a taxi from there. It is next to impossible to come to Lajatico on the day of the concert by your own car. The traffic is so heavy that the roads are almost blocked. It is most likely that you will have to park you vehicle at a big parking lot in the town of La Sterza located three kilometers away from Lajatico. You should consider coming for the concert a couple of days beforehand. Additional time in Lajatico will give you a chance to feel the real atmosphere of Tuscany. 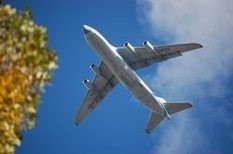 There are two international airports in Tuscany. Amerigo Vespucci Airport (IATA code: FLR) is one of them. It is situated approximately four kilometers away from Florence. Traveling by railway in Tuscany has three advantages: well-developed network of routes, variety of train types and flexible system of discounts. Railways are so much developed that even small towns have stations of their own. This may be the reason for taking a train to some place to meet local colorful sights. Travelling by bus is as much good as by train although it is less popular due to not very accurate timetable. Main cities and resorts are annually connected with bus routes. Tickets are available at the stations. In large cities tickets may be sold by an agency and in small towns you can buy a ticket right in the bus. Tickets may be with seat number or without it. It is better to buy tickets in advance during the travelling season to take care of a more convenient place in the bus. In order to rent a car you will need a passport, a credit card and an international license with at least 1 year of driving experience. 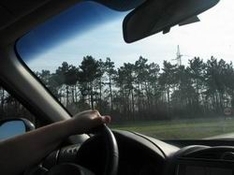 A driver should be older than 21 (some companies require the age of 23).